The Evans Classic Long Sleeve Jersey is a versatile addition to your riding wardrobe, with impressive technical features and sharp styling. 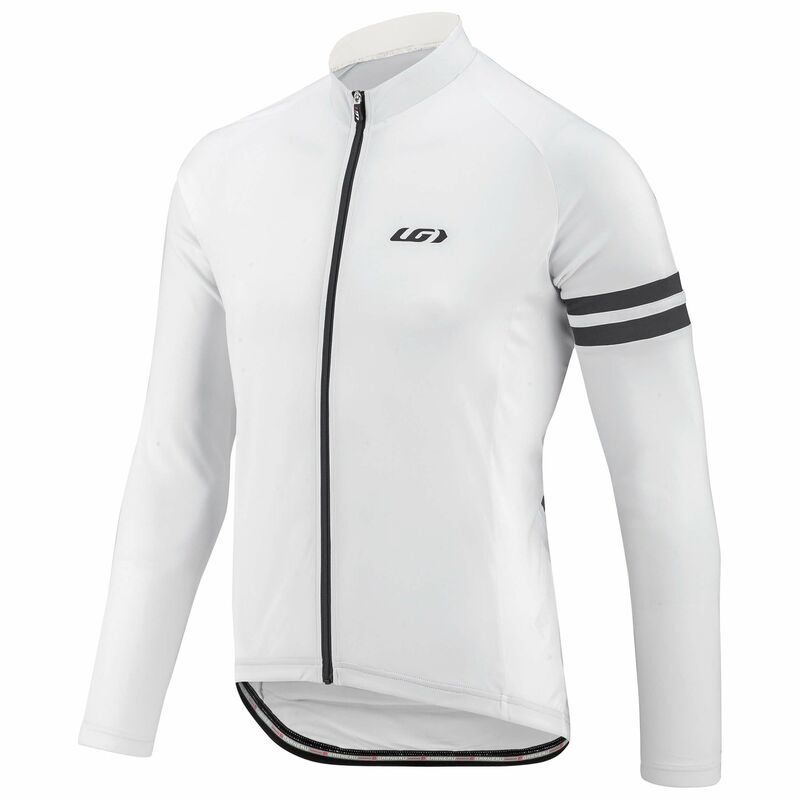 The long sleeves of the jersey will protect you from the cold and wind, while innovative Icefil technology helps regulate your body temperature and prevents you from overheating. A full-length front zip improves ease-of-wear, with the Garneau signature silicone gripper at the hem helping keep the jersey in place. Elastic cuffs at the wrist add snugness and security, while the three back pockets provide ample storage for gels, tools and an MP3 player or phone. An internal hole for cables allows you to route headphones through the inside of the garment. Reflective accents on the front and back are a final safety feature to keep you visible in low-light.